Black Seed Deep Conditioning Hair Mask. Black seed has been known for centuries in the ancient cultures of Asia and the Middle East for its powerful properties. 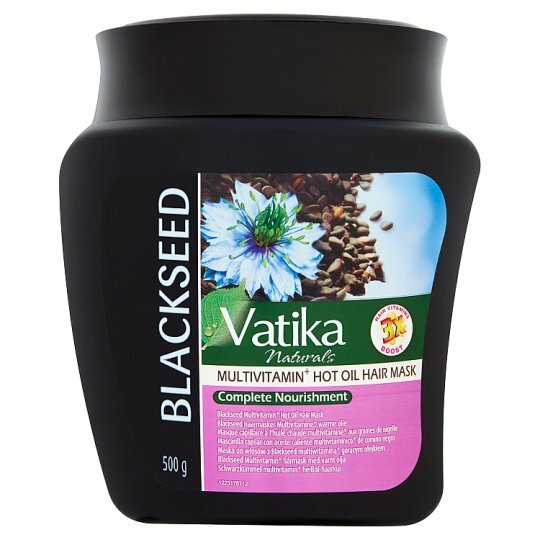 Vatika Naturals now brings to you Black Seed Deep Conditioning Hair Mask that is enriched with the goodness of powerful Black Seed & other natural ingredient that nourish and condition your crowning glory, giving complete care to your hair. Complete hair care - Improved Shine, texture & Volume with regular use. Directions: Use on hair post wash, wrap with hot towel, leave it for 15 minutes & rinse with water.